This is a simple holiday decoration you can make with kids. 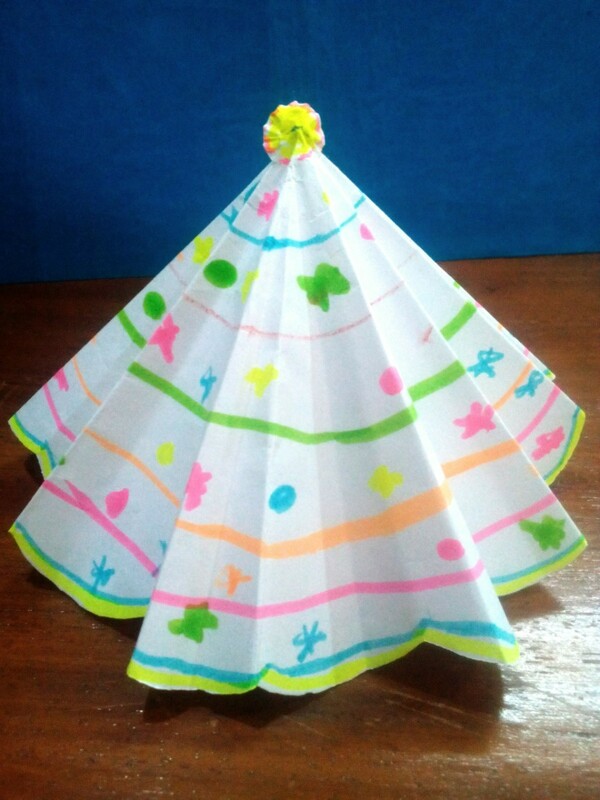 With just a piece of paper, scissors, and markers you can fill the house with this easy to make mini paper Christmas tree. 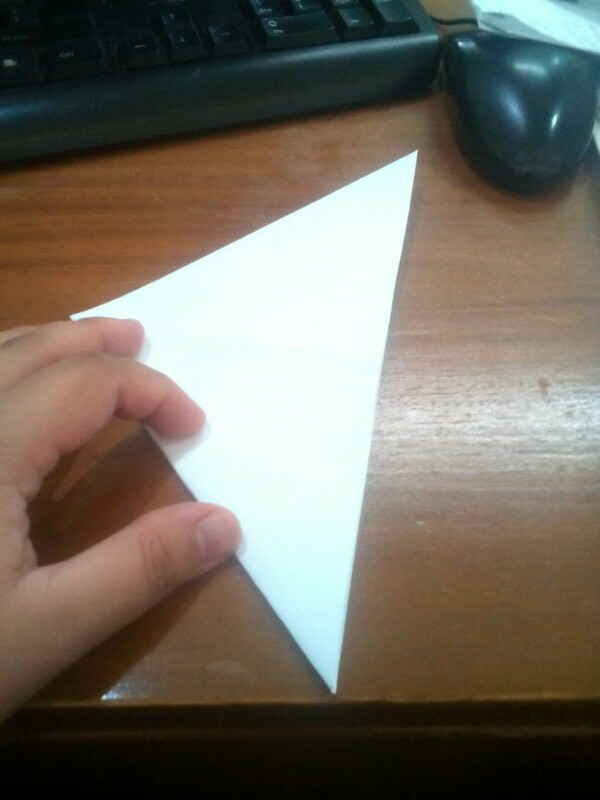 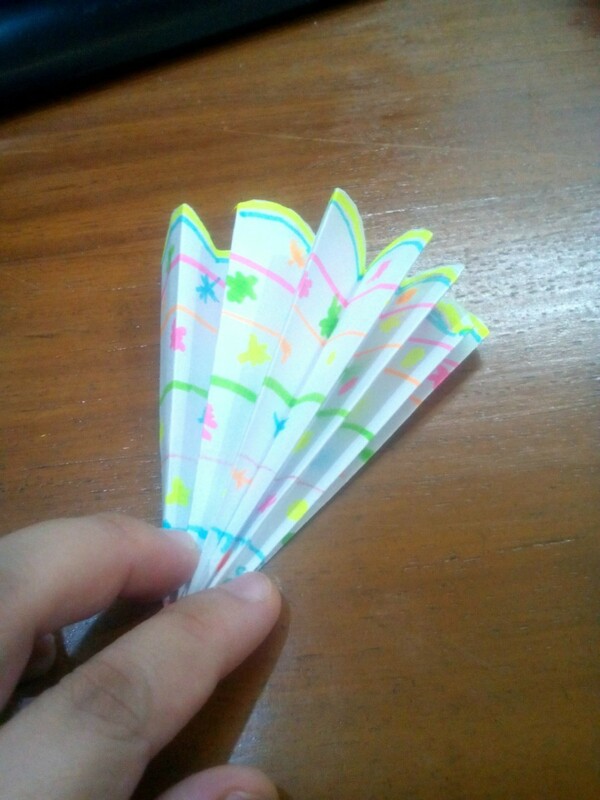 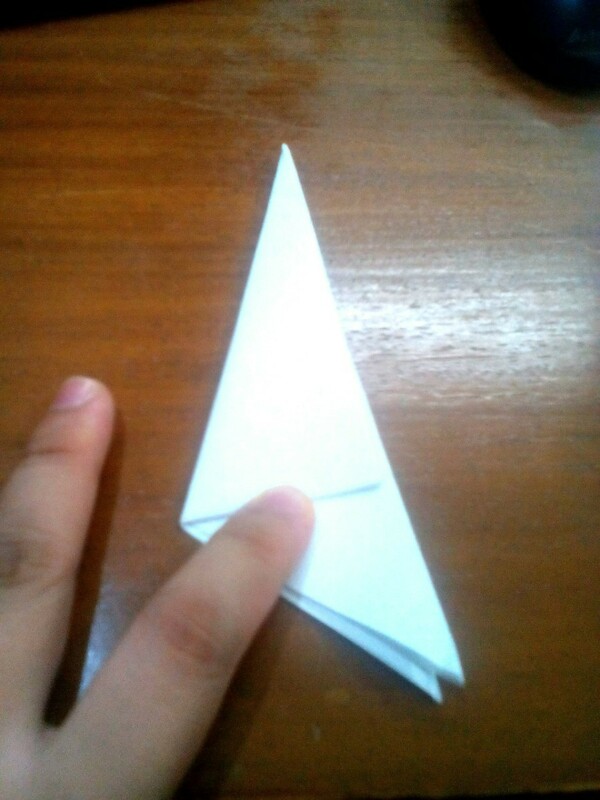 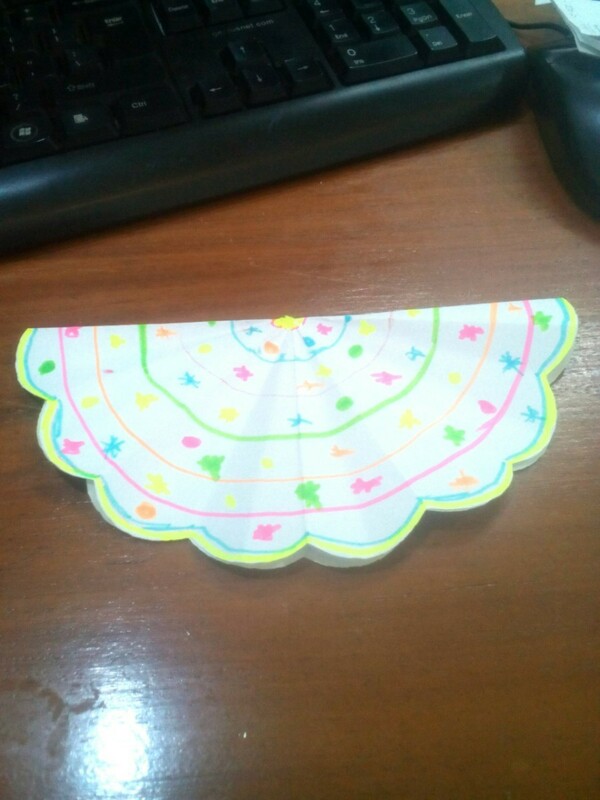 Fold bond paper into a triangle. Cut off the excess and fold several times to it's thinnest size. 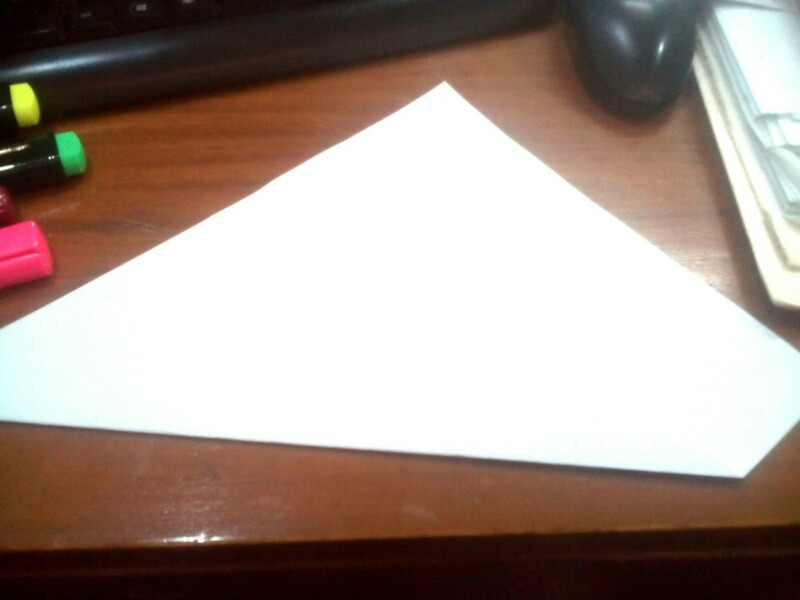 See image. 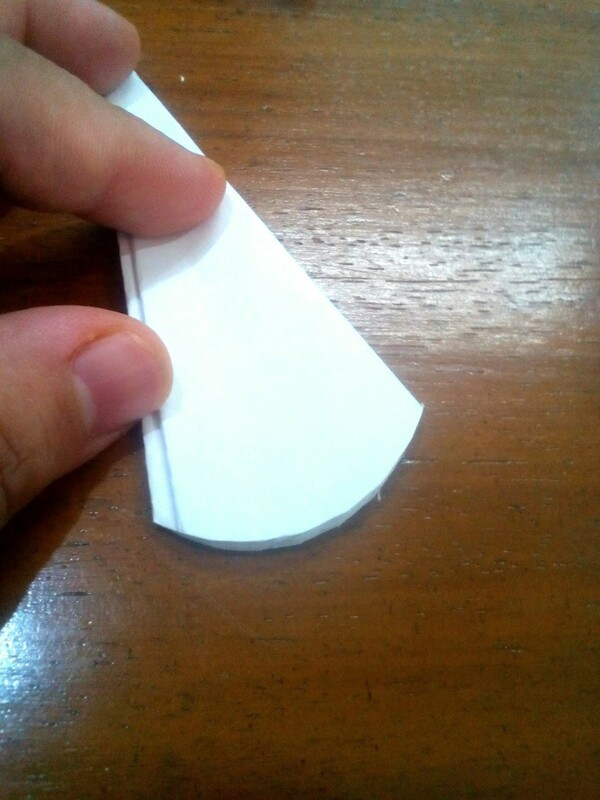 Cut a curve on its base. When you open it will look like this. 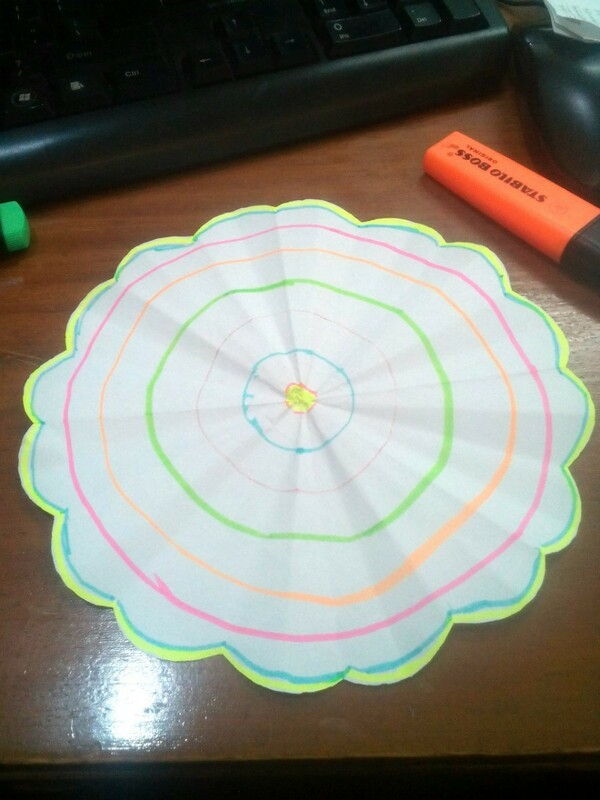 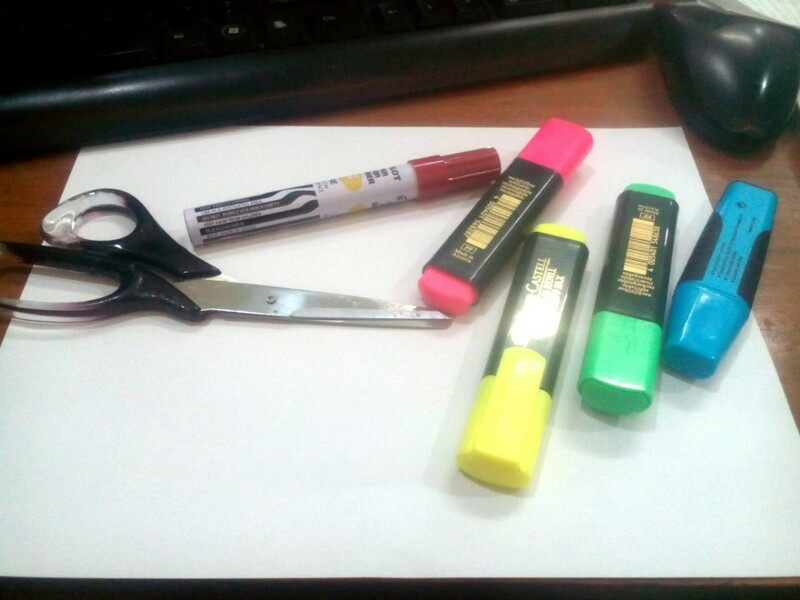 Draw circles around the paper using different color markers. 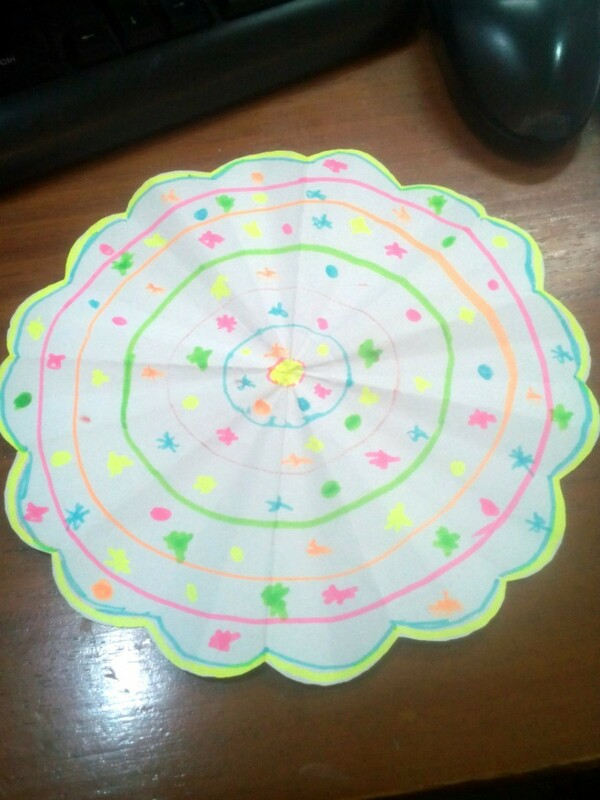 Fill the spaces with stars and circles using the same markers. 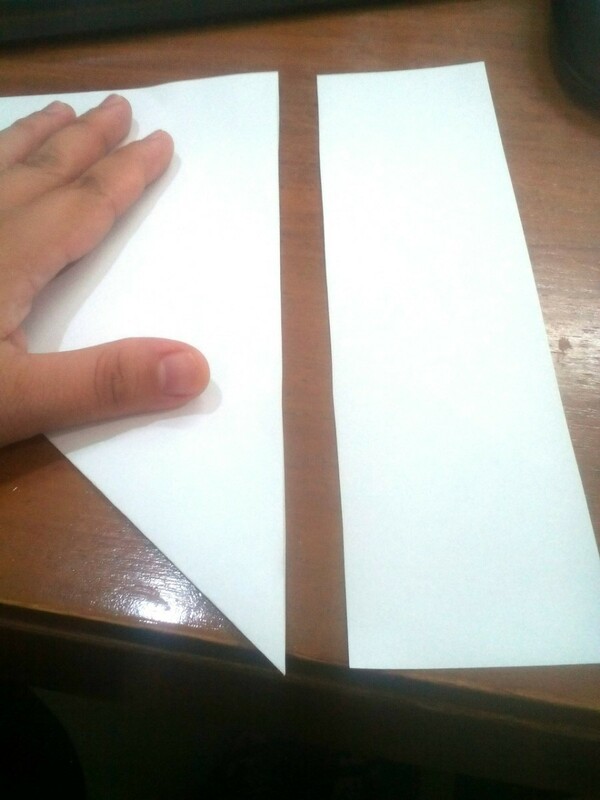 Make accordion fold following the markings of the first folding procedure. 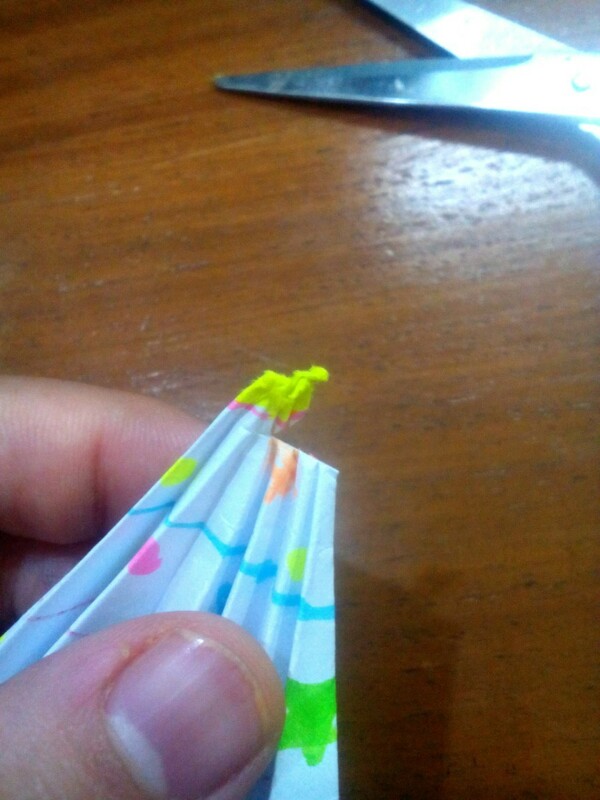 Cut the tip halfway through. 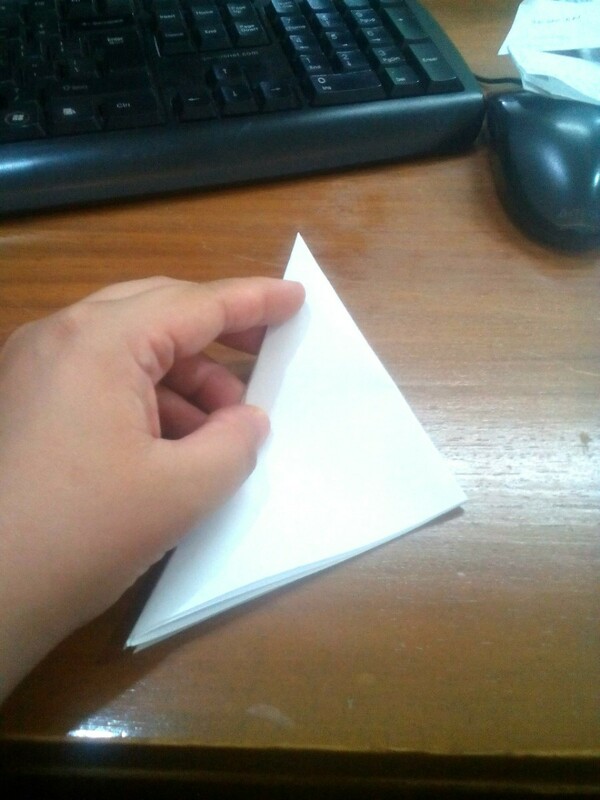 Open the paper wide and let it stand. 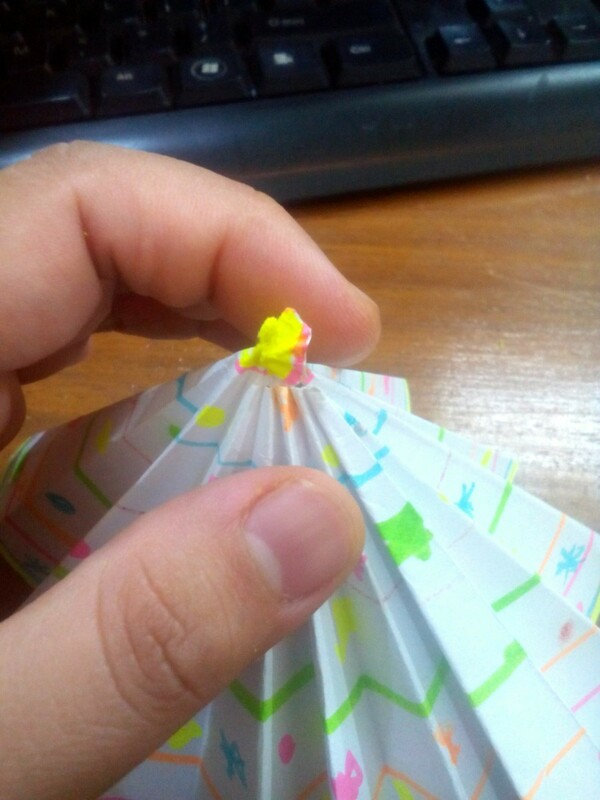 Pull the cut tip upwards. 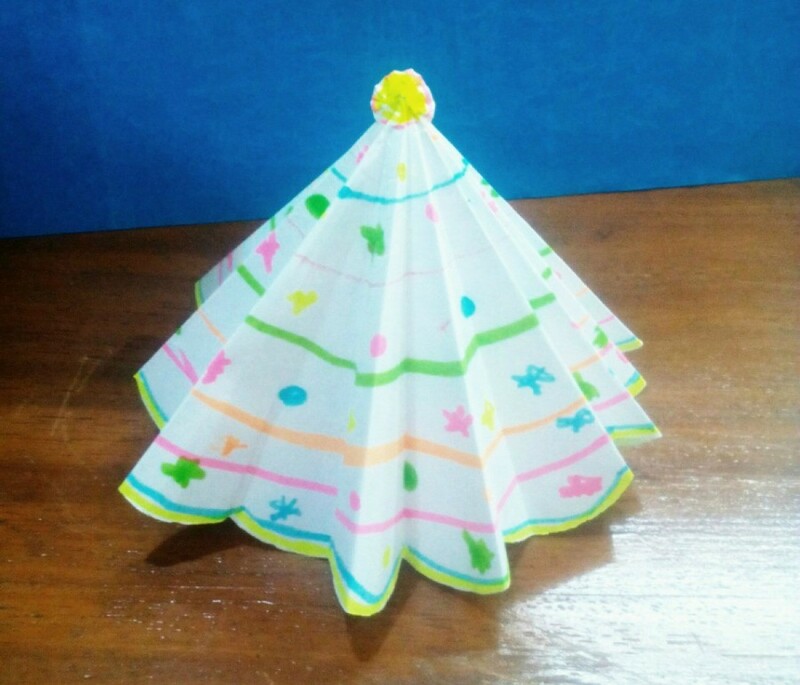 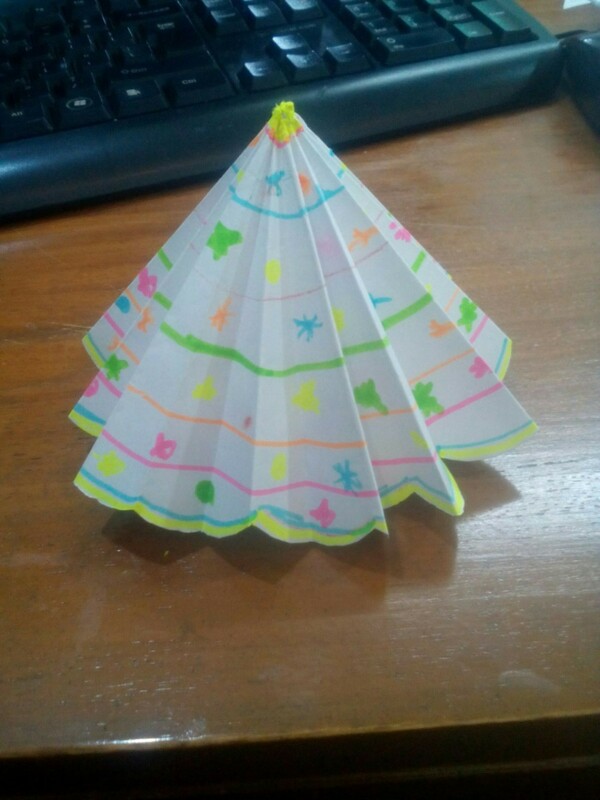 Now your paper Christmas tree is done. 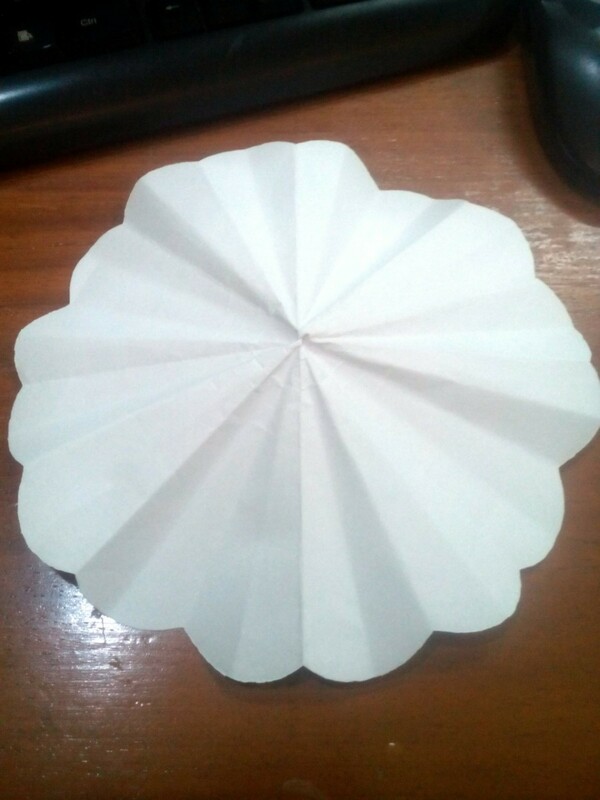 You can make more and align them on long tables for decoration.